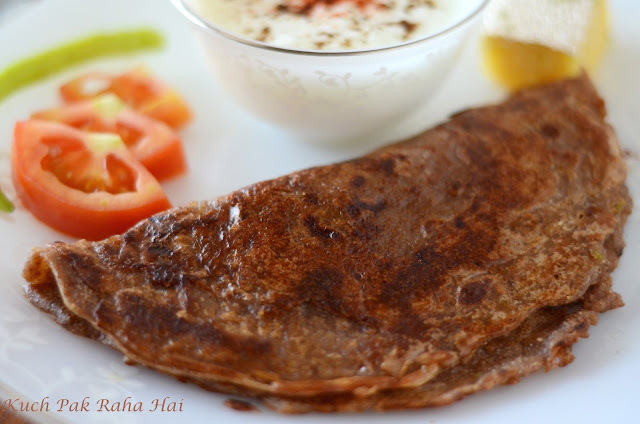 "Singhare Ke Aaate Ka Cheela" or "Water chestnut Pancake" is generally consumed during fasts (Vrat/Upwas) like "Navratri" in India. 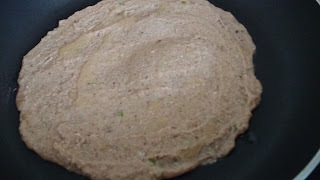 For making this Cheela, I have combined Singhara (Water Chestnut) flour and grated Lauki/Ghiya (bottle gourd) along with green chillies and spices. The batter is spread on a non stick pan and cooked till its golden brown in colour. 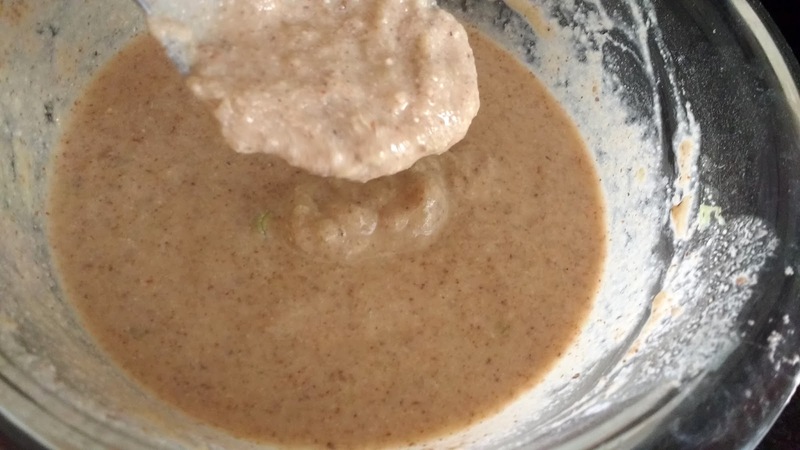 It is a quick fasting recipe. Singhara or Water chestnut is a mildly sweet fruit with greenish-brown outer covering and white coloured centre. It is also a rich source of minerals, Vitamin C and dietary fibre. Bottle gourd or Ghiya has high water and fibre contents. 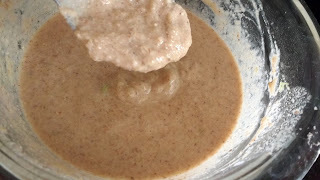 It is added in the recipe to increase the nutritional value as well as to give soft texture to the pancakes. As Singhara flour is gluten free, this recipe is ideal for people who are allergic to gluten or looking for some yummy gluten free recipes. 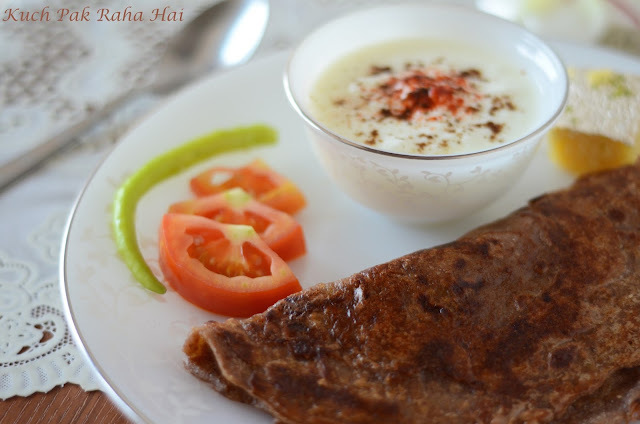 In case you don't have Singhara flour, it can be replaced by Kuttu or Buckwheat flour. Take all the ingredients mentioned above in a mixing bowl. Mix well. Gradually add water to it to make pouring consistency batter. Heat a non-stick pan. Spread a laddle of batter on it. Drizzle some oil and cover it with lid. Let it cook for 2-3 minutes on low flame. Once the Cheela has left edges, flip it up. Drizzle some more oil, and let it cook on medium flame. Repeat this till you get desired browning on both sides of Cheela. 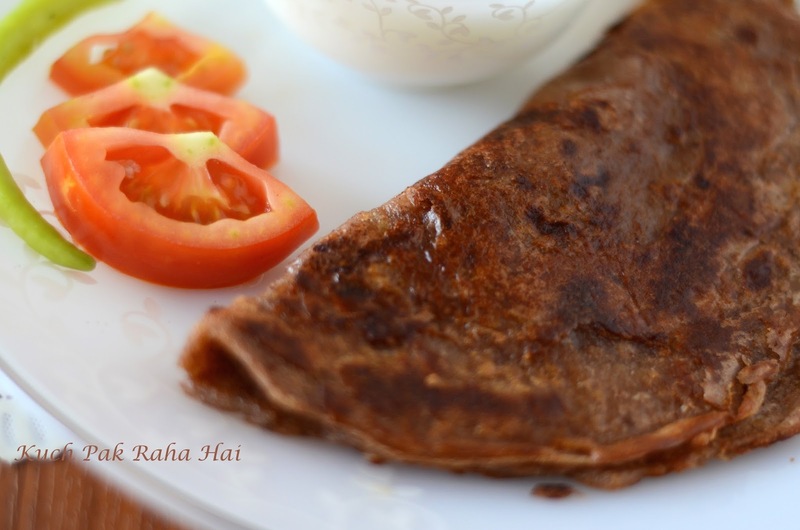 Enjoy this Cheela with Phalahari Paneer or curd!! For Phalahari Paneer recipe, click here.